14K Solid White Gold Men's Link Connect Bracelet. This piece is hand-made to order, not machine-made, for a superior quality in finish and design. Measures approx. 8mm wide (5/16"). Gram weights vary by length. Available in smaller sizes also. 8 Inches, 14K White Gold (standard). * All other sizes by special order. 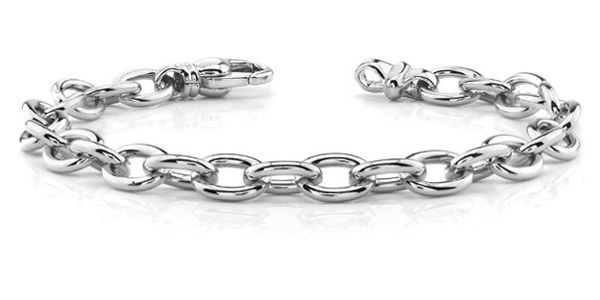 We guarantee our 14K White Gold Men's Link Connect Bracelet to be high quality, authentic jewelry, as described above.